Thank you to EVERYONE who made this year’s home tour a big success! Thank you to our Tour Sponsor, RTA and to our Promotional Partner, Dayton Performing Arts Alliance. Also thanks to our individual home sponsors, Requarth-Supply One, Scarff’s Nursery & Landscape, Kamela & Co. Realty, Habitat for Humanity, Oregon Printing, Ed Smith Flowers, Jimmie’s Ladder 11, Roost Modern Italian Restaurant, The Wine Gallery, Jey Ellis & Evelyn Davidson/Coldwell Banker-Heritage Realtors, and Lucky’s Taproom & Eatery. Thanks to our other advertisers, all the MANY neighborhood volunteers, and especially to ALL our guests who allowed us to share our beautiful historic neighborhood with them! We enjoyed every minute! About 20 volunteers showed up to perform the annual McPherson Town neighborhood cleanup. 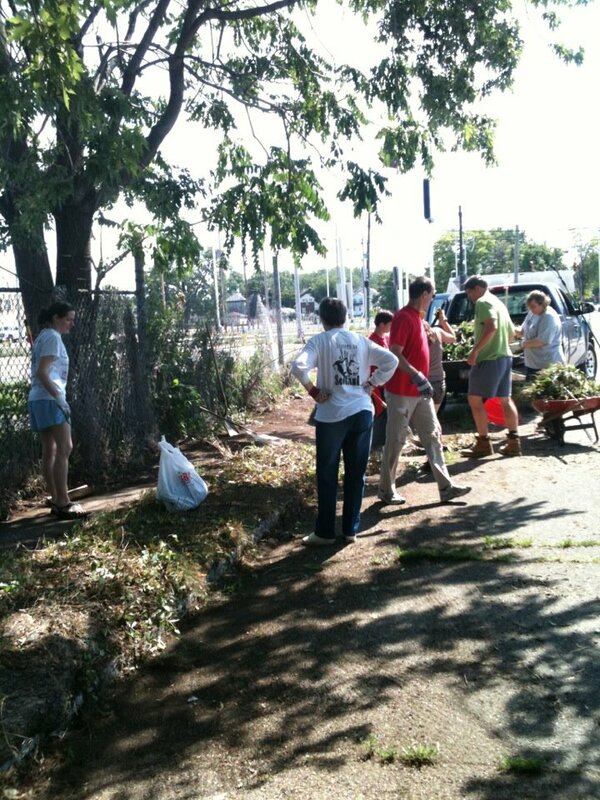 Common areas were weeded, bulk trash was gathered from alleys, trees were trimmed and much more. 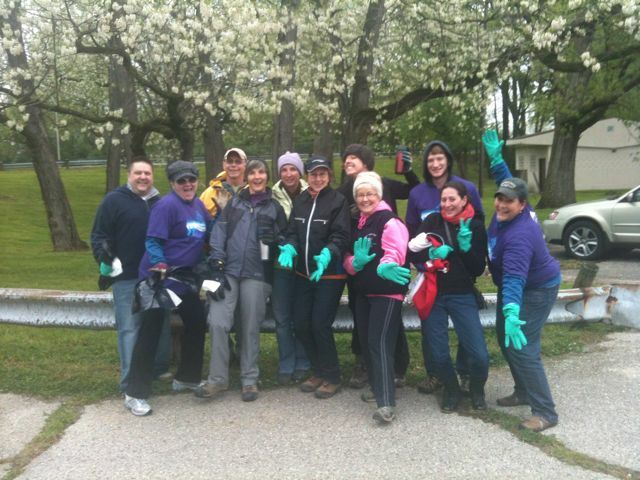 Thanks so much for all who contributed their morning to make the neighborhood look so good! The Great Miami River plays a significant role in the lives of McPherson Town residents. It is only fitting that a group of us volunteer time to keep it clean. More than 15 residents participated in the annual Five Rivers MetroParks Adopt-a-Park event, designed to make volunteers environmental stewards for a day. Many bags of trash and recyclables were picked up from the river banks in an effort to improve the health of the river corridor for both wildlife and people of the region. Many thanks to those who made it out, despite the chilly and damp weather! A team of McPherson Town neighbors were part of the more than 300 people that volunteered about 900 hours of their time to work the inaugural First Four Festival in Dayton’s Oregon District. The festival celebrated “Selection Sunday” as well as the city hosting the first round of the 2012 NCAA Men’s Basketball Tournament. Thousands of people kicked off “March Madness” at the event…and enjoyed an amazing spring day to watch basketball in the streets of our city! After watching all the fun happening on the ice over at the RiverScape MetroPark Ice Rink last year, a group of McPherson Town residents decided to jump in and start their own broomball team, the Lucky McPeeps. 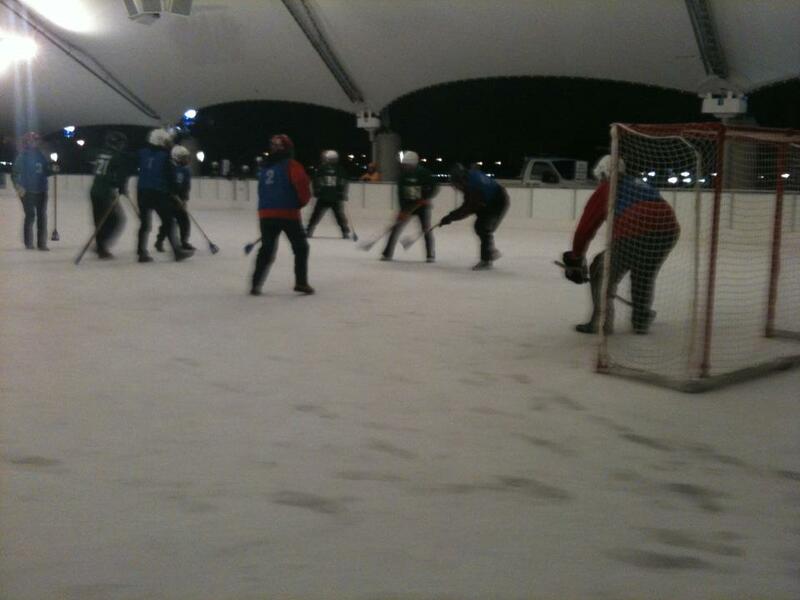 Their 30-minute games are played Monday nights between 6 and 8 p.m. until Feb. 22. Come out and cheer them on!